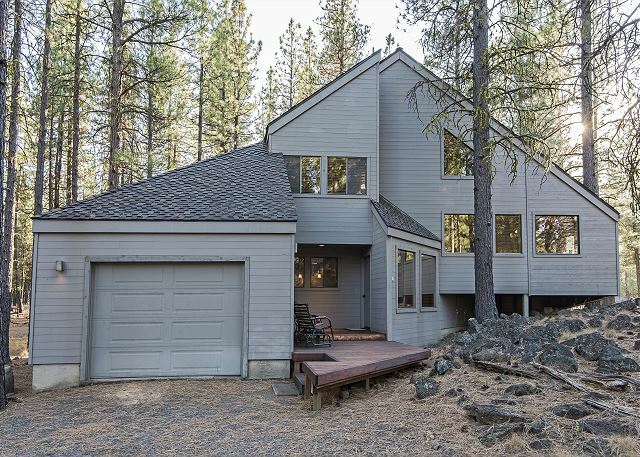 Wonderful, updated vacation home for a small or extended family. It's just a short walk or bike ride to playgrounds, tennis, swimming, hot tub, spa services, etc. Beautiful, private wooded area off the back deck, great for watching the deer and wildlife. SM 197 is ideally located close to the bike path with a short distance to the GM pool. This home works well for two families with three separate living spaces, Large updated kitchen and newly added master bedroom suite. Large spacious deck. 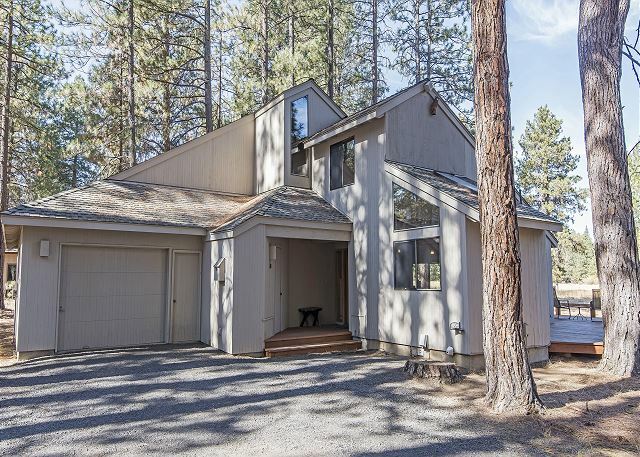 The lovely, open floor plan with massive picture windows takes full advantage of the views of Lupine Lake, Glaze Meadow and Black Butte. It's only a short walk or bike ride to the Glaze Meadow Recreation Center. Peaceful, quiet area. Wonderful family home with lofty ceilings, large fireplace and a great location for recreating. The home is a spacious 2268 sq. ft and was completely renovated in 2008. 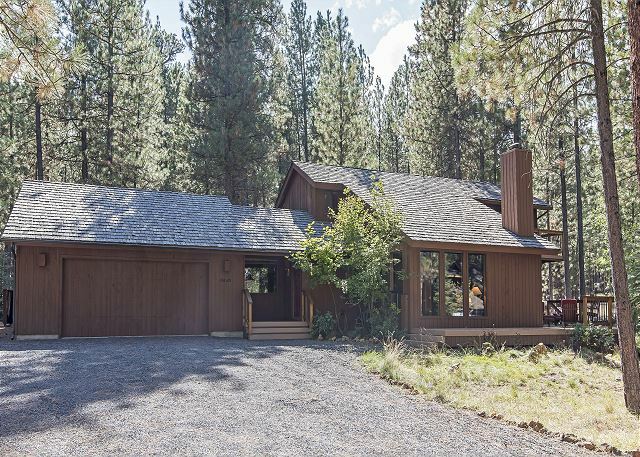 There are stunning unobstructed views of Black Butte from the Great Room and patio..
Large decks and lots of windows take advantage of this lovely home site. 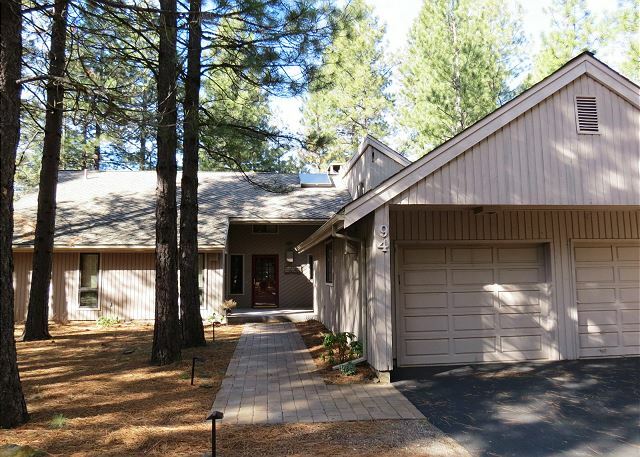 This home enjoys a quiet area of Glaze Meadow with views of Black Butte and is within a short bike ride or walk to the Glaze Meadow Recreation Center. Dog friendly. This beautiful home is perfect for two families with bedrooms on two levels. 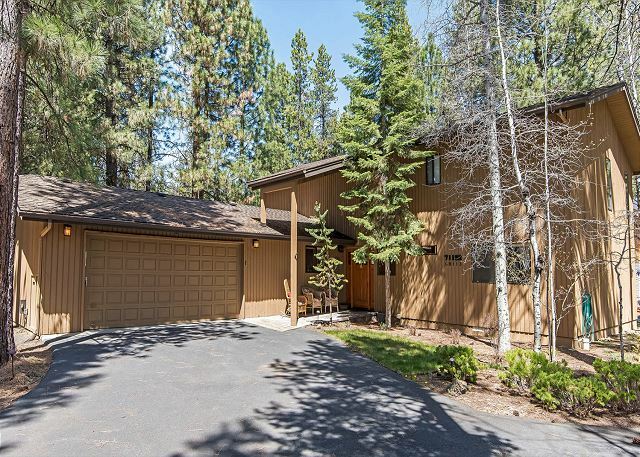 Beautiful hardwood floors, a spacious great room opens to the beautifully updated kitchen. Air conditioning and dog friendly! 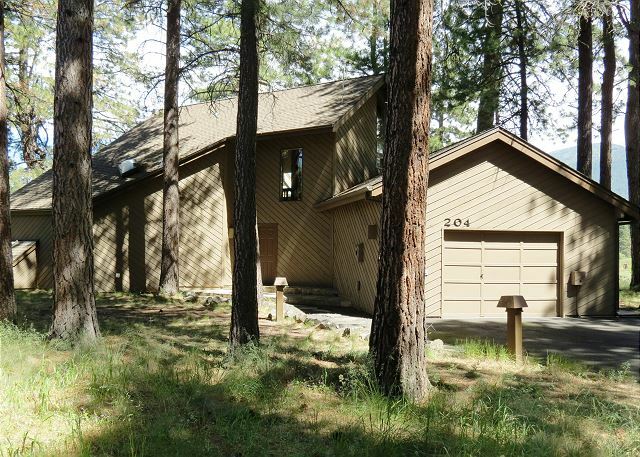 Four Bedroom, three bath vacation home bordering Forest Service Land is the perfect vacation location, just a short walk from the Glaze Meadow Pro Shop and golf and to the Glaze Meadow Recreation Center. Great for extended families. Dog friendly and air! Wonderful vacation home with decorator colors and a gourmet kitchen off the great room. Master bedroom includes bath w/ jetted tub. Stunning views of GM#13 from many rooms of the house. Spacious decks and fire pit. Small dogs welcome. Air conditioned. This home is designed to meet all your most discriminating needs. Lots of windows look onto the large deck and private, wooded home site. This home is beautifully designed and decorated and will provide you with luxury during your stay. Air conditioned. Wonderful location close to golf and rec area. 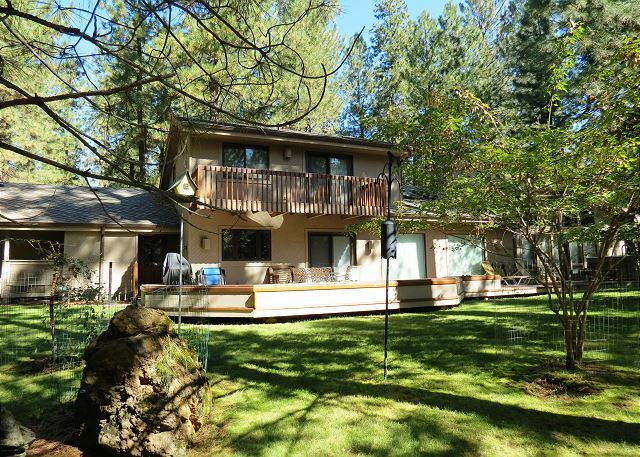 Spacious outdoor living area with forested view, large decks and hot tub. Perfect home for an extended family or two families. 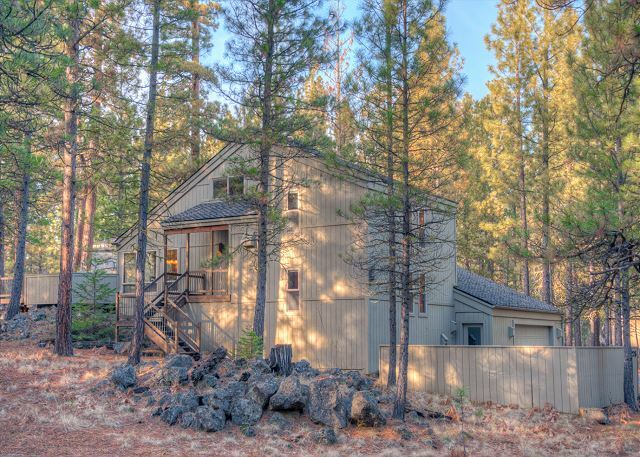 Comfortable, cozy, warm and wonderful, this vacation home can be your home away from home. Nice decorator touches, hot tub, air conditioning and dog friendly are just a few of the wonderful features. Walk to the Glaze Meadow driving range or to the pool! Enjoy sweeping views of the 6th fairway on the Big Meadow Course frommany rooms.Large wood burning fireplace. Master with jetted tub and large shower. Air conditioned, hot tub, and dog friendly! 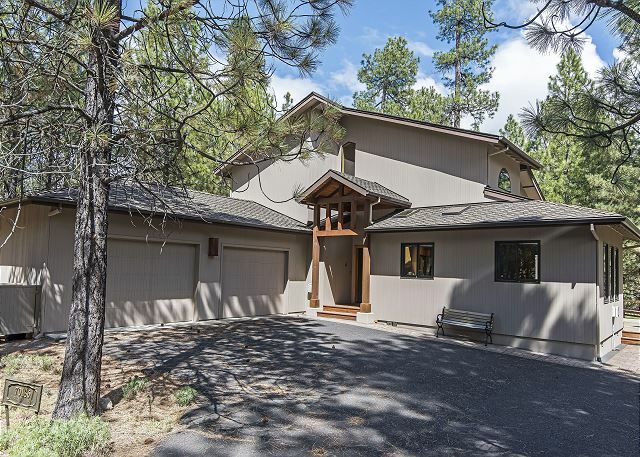 If you love golf or beautiful mountain views, this is the vacation home for you! 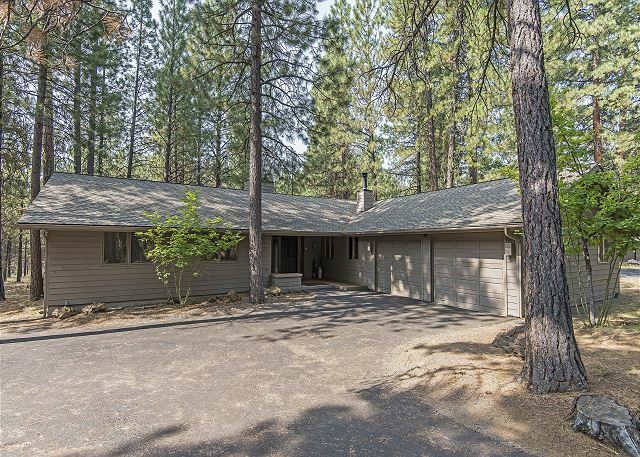 This beautiful vintage Black Butte home has an amazing country kitchen and miles of decks plus a huge wood burning fireplace. Bring your dog plus home is air conditioned! Amazing reverse living home just a short walk to the Upper Glaze Meadow Pool. Panoramic views of GM#14 Fairway and stunning wood accents, towering vaulted ceilings and beautiful decor. Welcome to your own private lodge! 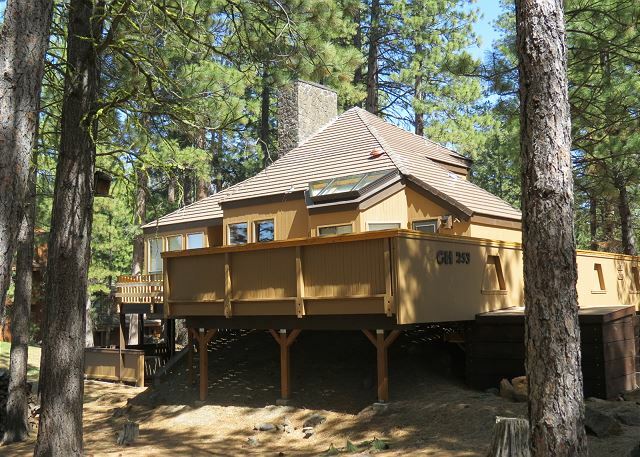 One of a kind vacation home! 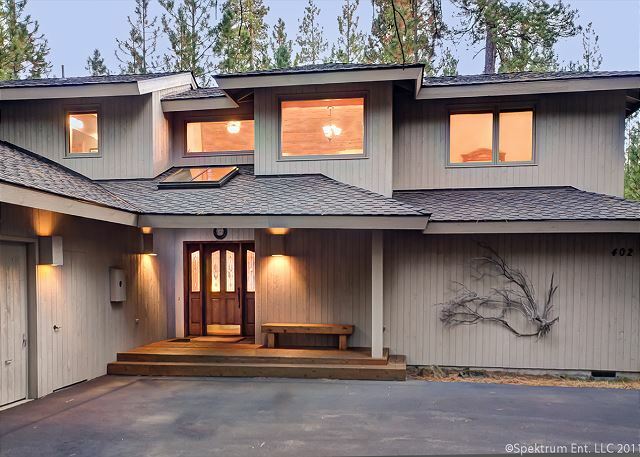 This amazing home has room to spare. Amazing lodge decor with log furniture throughout. Large great room with gas fireplace. 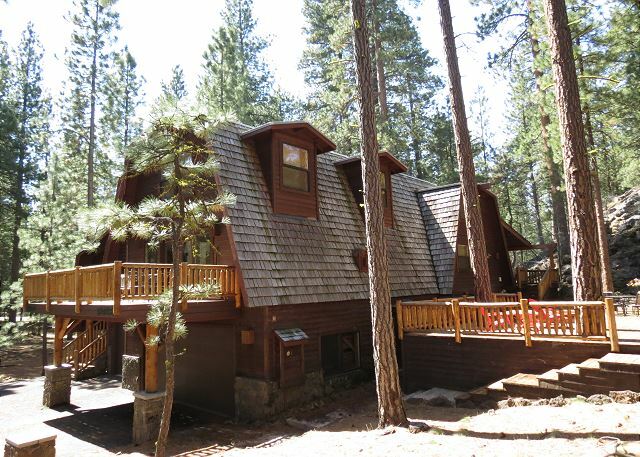 Huge decks and balconies, sauna, hot tub, air and dog friendly. Short walk to SM and GM Pools. 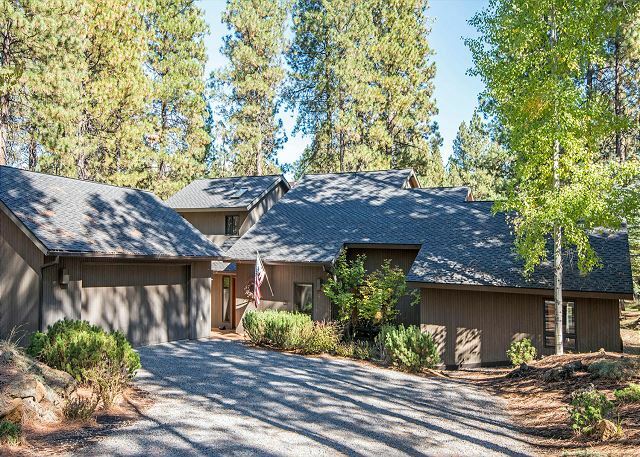 Impressive, spacious 5 bedroom, 4.5 bath vacation home in an ideal location for recreation opportunities at the Family Glaze Meadow Rec area and the main Glaze Meadow Amenity Center. Enjoy watching golf action with the sweeping view of the GM#7 Fairway. 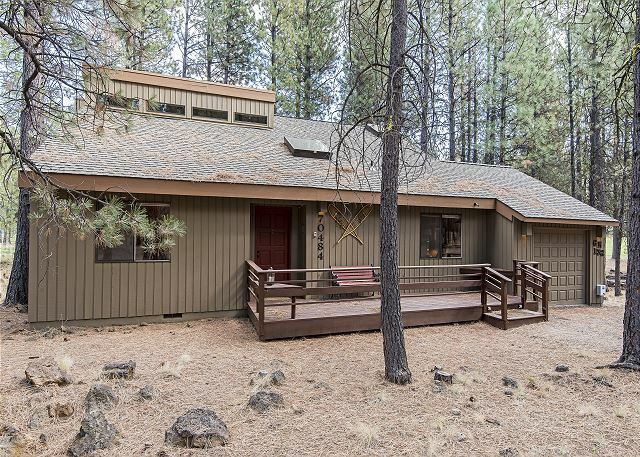 This fun Black Butte Ranch home will have you convinced you are living in a tree house, high among the pines. Watch the golfers on the 17th fairway, while enjoying the spacious decks. Short walk to the Lodge and new rec area on level terrain. This cozy charmer is in a prime location. Large deck allows great views, bike a short distance to the new Lodge Pool, recreation area, Lakeside Bistro and the Lodge! 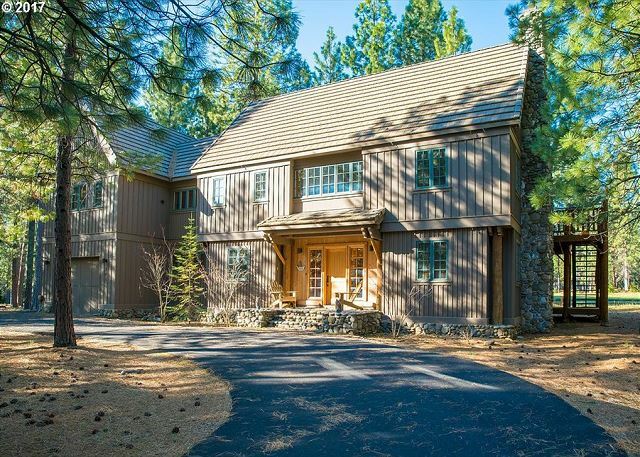 This home is vintage Black Butte at it's best. Bring your dog plus it's air conditioned! This is the perfect home for a small family with older kids or three couples. 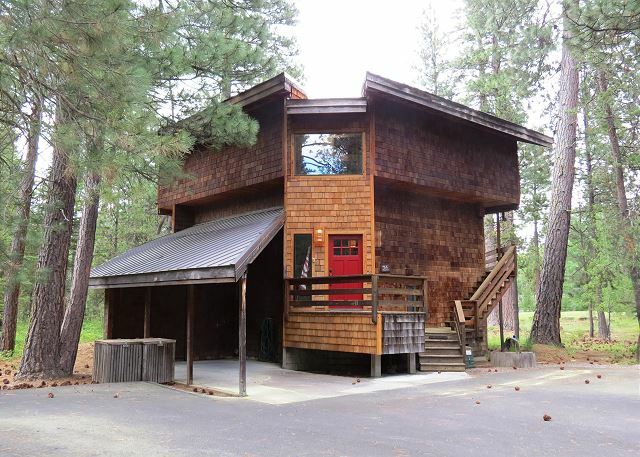 With three bedrooms and three baths, air conditioning, large decks and within a short walk to the Glaze Meadow, it is the ideal mid-size vacation retreat.